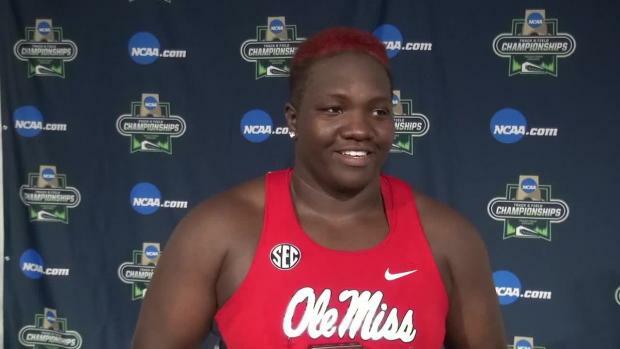 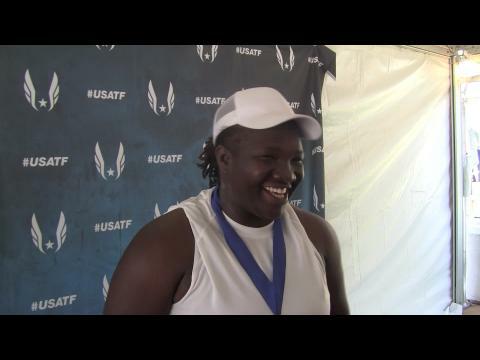 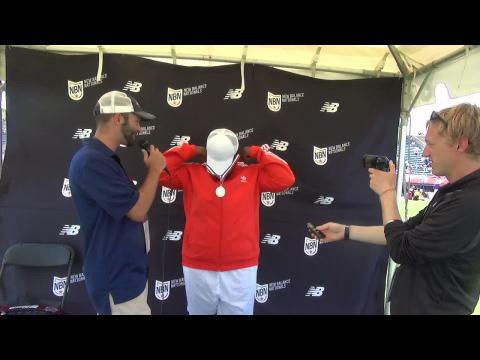 Eugene, Ore. - Ole Miss sophomore Raven Saunders defended her NCAA outdoor shot put title Thursday, and she did so in the most impressive way. 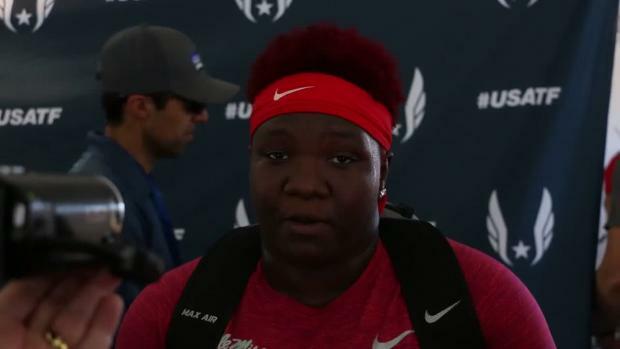 On her fifth throw from the rain-soaked Hayward Field shot put ring, Saunders launched the 8.8-pound metal ball such that it seemed to stay in the air forever. 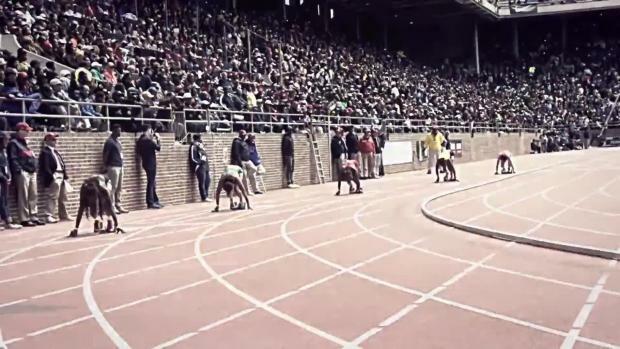 It flew over the 60-foot mark, then 61 feet, 62 feet, 63 feet. 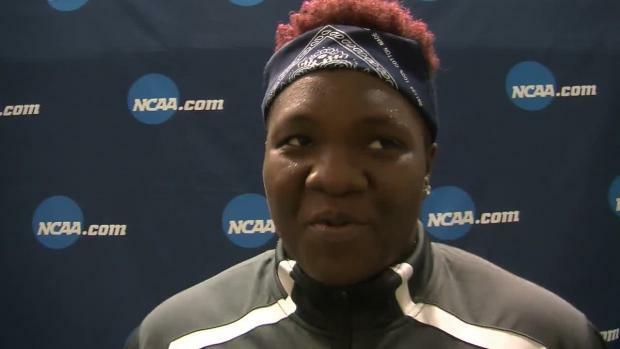 When it finally landed, the 5-foot-5 Rebel who had more than a few beads of rain sitting atop her newly dyed, short-cropped red hair, had shattered a 33-year-old collegiate record with a mark of 19.33 meters, which is 63 feet, 5 inches.